Sensei Robert Chodo Campbell co-founded the New York Zen Center for Contemplative Care. The organization delivers contemplative approaches to care through education, direct service and meditation practice. In order to bring the work to a broader audience, he co-developed the Foundations in Contemplative Care Training Program. Chodo is part of the core faculty for the Buddhist Track in the Master in Pastoral Care and Counseling at NYZCCC’s education partner, New York Theological Seminary. He teaches in the University of Arizona Medical School’s Center for Integrative Medicine’s Integrative Medicine Fellowship. Chodo is a dynamic, earthy, and visionary leader and teacher, Chodo has travelled extensively in the U.S teaching in various institutions as well as bearing witness to the suffering of HIV/AIDS in Zimbabwe and South Africa. His public programs have introduced thousands to the practices of mindful and compassionate care of the living and dying. 30,000 people listen to his podcasts each year. His passion lies in bereavement counseling and advocating for change in the way our healthcare institutions work with the dying. 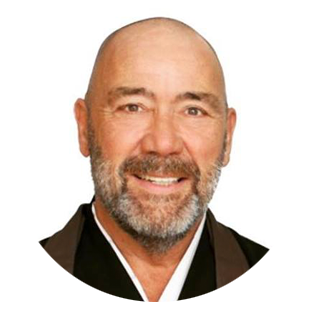 He is a Senior Soto Zen priest and Soto Zen Teacher. Sensei Koshin Paley Ellison, MFA, LMSW, DMIN, cofounded the New York Zen Center for Contemplative Care, the first Zen-based organization to offer fully accredited ACPE clinical chaplaincy training in America, which delivers contempla- tive approaches to care through education, direct service, and meditation practice. Paley Ellison is the academic advisor for the Buddhist students in the Master in Pastoral Care and Counseling program at NYZCCC’s education partner, New York Theological Seminary. He has served as the co-director of Contemplative Care Services for the Department of Integrative Medicine and as the chaplaincy supervisor for the Pain and Palliative Care Department at Mount Sinai Beth Israel Medical Center, where he also served on the Medical Ethics Committee. He is currently on the faculty of the University of Arizona Medical School’s Center for Integrative Medicine’s Integrative Medicine Fellowship, and he is a visiting professor at the McGovern Center for Humanities and Ethics, of the University of Texas Health Science Center of Houston Medical School. His groundbreaking work has been widely featured in the media, including the PBS Religion and Ethics Newsweekly, and in numerous print publications such as the New York Times and Los Angeles Times. He is the coauthor of the chapter “Rituals and Resilience” in the book Creating Spiritual and Psychological Resilience (Routledge, 2009). He also authored the chapter “The Jeweled Net: What Dogen and the Avamtamsaka Sutra Can Offer Us as Spiritual Caregivers” in the book The Arts of Contemplative Care: Pioneering Voices in Buddhist Chaplaincy and Pastoral Work (Wisdom Publications, 2012). Koshin is the co-editor of Awake at the Bedside: Contemplative Teachings on Palliative and End of Life Care (Wisdom Publications, 2016). He received his clinical training at Mount Sinai Beth Israel Medical Center and the Jungian Psychoanalytic Association. He began is formal Zen training in 1987, and he delightfully continues to study with Dorothy Dai En Friedman, Zen teacher in the White Plum Soto Zen Lineage. 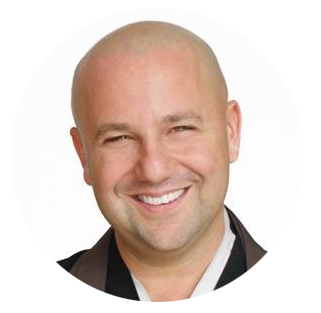 He is a senior Zen monk, Soto Zen teacher, ACPE supervisor, and Jungian psychotherapist.